The beaches in Southern California are wonderful places to spend a day, whether it is swimming, surfing, exploring tide-pools, or any of the other many activities. By always following a few simple safety tips you can prevent some of the more common accidents and injuries that occur in the ocean environment. Each beach has its own set of characteristics which attract thousands of visitors each year. It is important however, to always keep in mind that with each beach along the Southern California coast, there are a variety of hazards that are not always obvious. 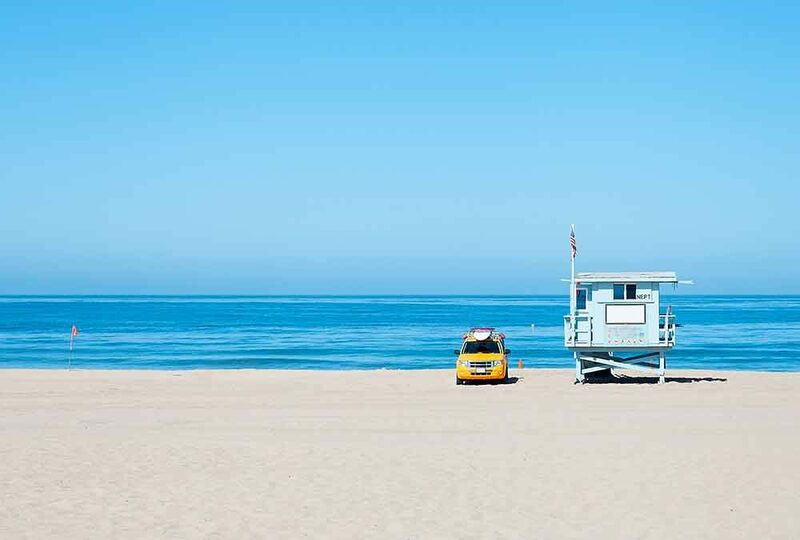 As lifeguards and waterman it is our responsibility to ensure the safety of beach visitors by preventing, reporting, and monitoring hazards, as well as assisting those that in need of help while in danger. All of the Malibu Makos programs include ocean safety education and in the past year we have created the public and private school programs OCEAN SAFETY EDUCATION and SURF PE to help further educate your school, group, or organization about the ocean. Review the following ocean safety tips as they can help make your next visit to the beach a safe, fun, and memorable one. At the end there is a list of ocean safety topics of which you may click on for more detailed descriptions and recommendations. If your adventure includes a trip to the beach, play it safe and choose a beach with lifeguard protection. Call ahead and ask for their assistance in choosing the safest area. Playing in the ocean can be fun, but the water can be dangerous. If you get into trouble while in the water, signal for help by waving your hand and arm above the water towards the shore. Rip currents are rivers of water that can pull you out to sea. If you become caught in a rip current, DON’T PANIC. Swim parallel to shore or tread water until help arrives. Alcohol and swimming don’t mix. If your destination allows alcoholic beverages please remember: DON’T DRINK AND SWIM! Each year thousands of beach visitors are rescued from life-threatening conditions. Prevent this from occurring to you by observing all warning signs and asking the lifeguard for safety advice. When lifeguards are on duty, they are watching for problems, but can not see everything. If you bring small children to the beach, watch them carefully. Tragic water accidents can change your life forever. By following these safety tips you can help make sure that your visit to the beach is both safe and fun. These terms are not here to frighten anyone from attending the beach. Instead they serve as an educational tool to prevent you having an unsafe trip to the beach. Be sure to click the following terms and descriptions from United States Lifesaving Association and the Malibu Makos Surf Club to help increase you and your child’s ocean knowledge and make your next visit to the beach safer.